And I must lift my hands to type this post! Oh world, you ask too much of me. Hurry up inventors so I only need to think this post. Actually, I just looked at the clock and realized I have to get ready to go swimming. Three hours later: So I swam. A kabillion laps, and guess what? Now I am REALLY tired. I see that the inventors have still not come up with a way for me to think my posts and have them appear. And you had all morning. 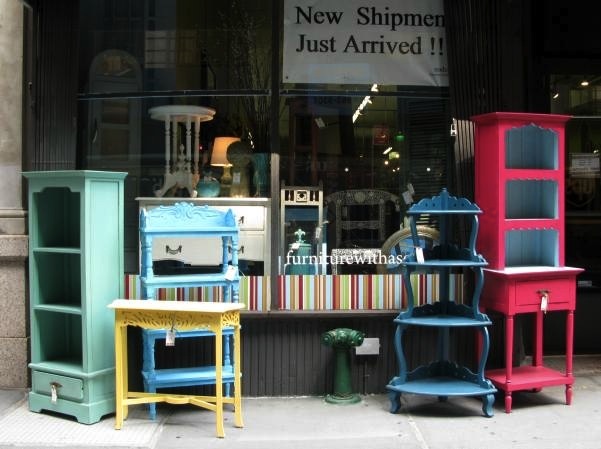 I love this painted furniture. That reminds me, my apartment desperately needs painting. Ugh. I’m going to go nap. FOR TEN YEARS.